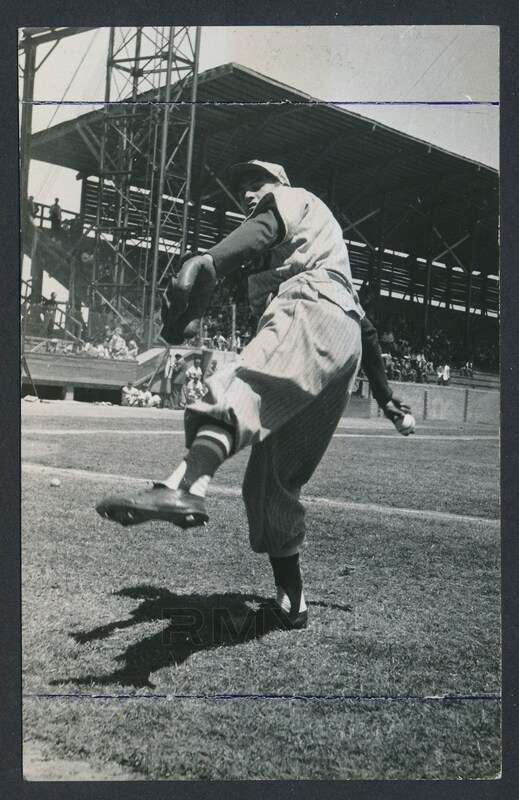 1948 Real photo postcard of veteran hurler Daniel Rios in uniform with the Monterrey club showing his wind-up at the ballpark. A veteran who played from 1939-1964 in the Mexican Leagues, he also made some stops in the early 1950's with Yakima and pitched VERY well! 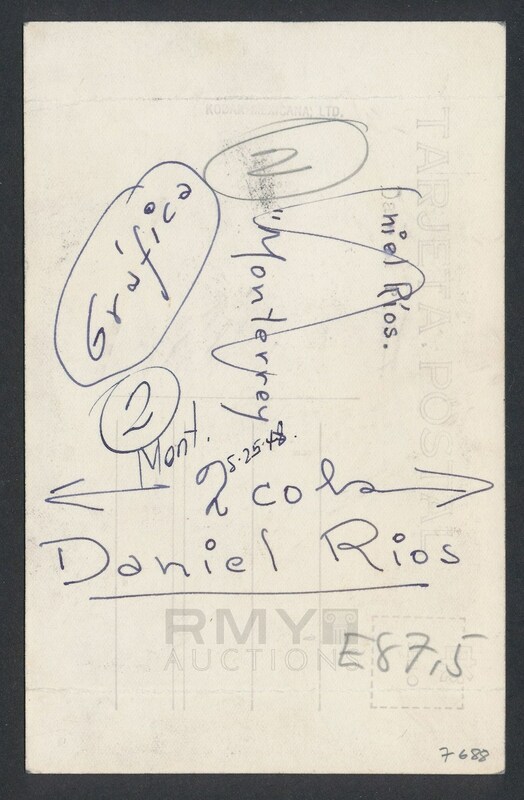 One of the better Mexican League pitchers of his era, this is the only photo postcard of his we know of and it displays great with note to some artistic framing done with pen for publication.